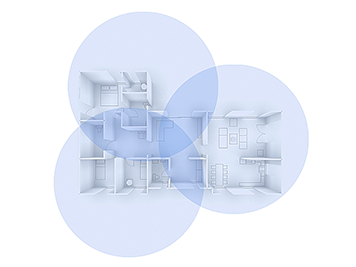 *Home size, materials and layout can affect how a Wi-Fi signal travels. Larger homes or homes with thicker walls or long, narrow layouts may need extra Wi-Fi points for full coverage. Strength and speed of the signal will depend on your internet provider. Google WiFi requires broadband internet. Each Wi-Fi point requires a nearby electrical outlet. The app requires a mobile device with Android 4 and up or iOS 8 and up. 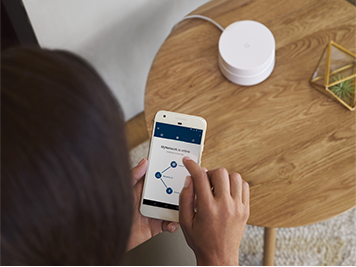 Google WiFi brings faster and stronger Wi-Fi coverage throughout your home, while the Google WiFi app helps you understand your network and manage devices effortlessly. Enjoy strong coverage and optimal connection in every room, on every device. With the Google WiFi twin pack, you easily connect two Wi-Fi points that work with your existing router and service provider to give you Wi-Fi coverage throughout the house, with no loss of speed. The Google WiFi app lets you control Google WiFi from your phone. * See what's connected, check bandwidth usage and prioritise devices for faster speeds. You can even control when your children go online by scheduling Wi-Fi breaks on their devices. *The app is compatible with phones running Android 4.0 or iOS 8 and later. 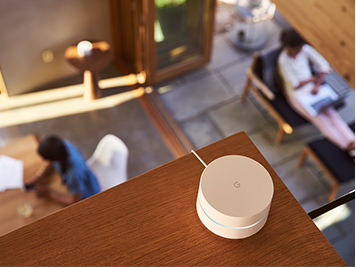 Keep safe from viruses, malware and other online threats with Google WiFi's sophisticated, built-in security measures. Industry-leading hardware and cloud-based security updates automatically keep you protected. You'll also have 24/7 support available by text or phone. 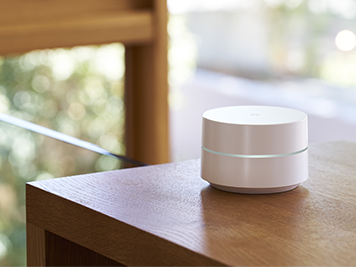 Google WiFi offers an easily scalable Wi-Fi solution, no matter the shape or size of your home. Connect two Wi-Fi points seamlessly to one another, then add as many as you want to get a reliable signal wherever there's a socket.